To become a famous poet. So I pretended to be sad. And enjoy the clear Autumn. smooth its crumbling edges, its weeping afternoons. and the low fog coming across the bay. you will hear only the sound of rain as you sleep. 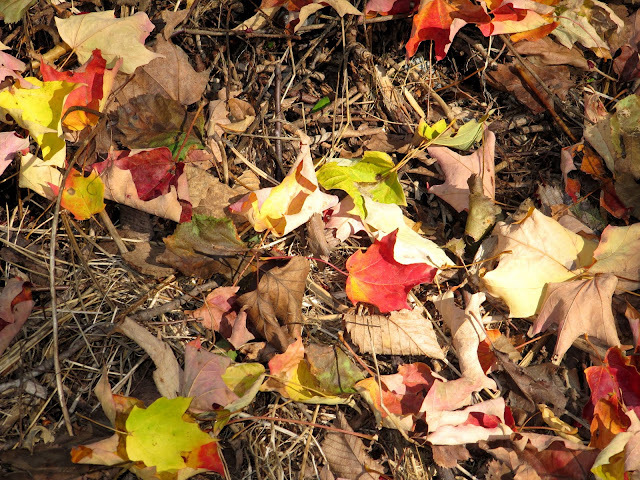 Yes it is winter in the northern hemisphere and summer in the southern ... but these two poems and accompanying photographs about autumn match my mood today and are, of course, a metaphor for where I am in this wonderful journey called life. I hope you find something in them that speaks to you and your journey. There is so much offered to us in every season. Savour yours. Bonnie, The photos are absolutely stunning, they vibrate! I especially like the acceptance of what is and the falling into place each season of life has. It is not sad, it just is and with grace and beauty is lovely each step of the way. I adore this post and the photos! That first picture...what an awesome tree. really wonderful quotes. sometimes it is hard to accept what life has given us, or where we are on the journey. each stage though has its own beauty to appreciate. Lovely, post, Bonnie. I particularly enjoyed the Wendy Smyer Yu poem. Seems like it's more wintry now, but just as you suggest when we're in the autumn of life autumnal thoughts resonate naturally. Beautiful photos, too. Thank you. It is not all bad to get to the autumn of one's life. I've been thinking of doing a post about the joys of maturity, not that I could ever match your wonderful photos. A quiet and peaceful mind, a contentment with what life has to offer and the enjoyment of more modest pleasures, what could be wrong with that? I visited the blog you recommended yesterday and enjoyed it very much. Thank you. I can't imagine putting on a cloak of sadness as a young poetic poseur. It finds us too often and too early and too relentlessly to have to pretend. I'm younger today than I ever will be again and I intend to enjoy this day to the last drop! Repeat. Beautiful Tree of Life...in words and photos! I'm just starting the long (I hope) autumn of my life and I feel more awake and alive now than I did during the previous 49 years of spring and summer. 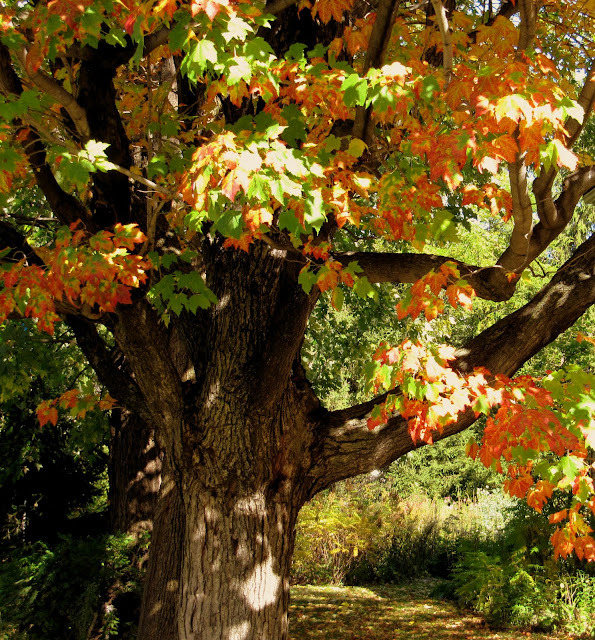 Life grows richer as the leaves turn colours in this beautiful season. It is the BEST! The first poem touched me quite a lot – so simple but so full of the spirit of life. 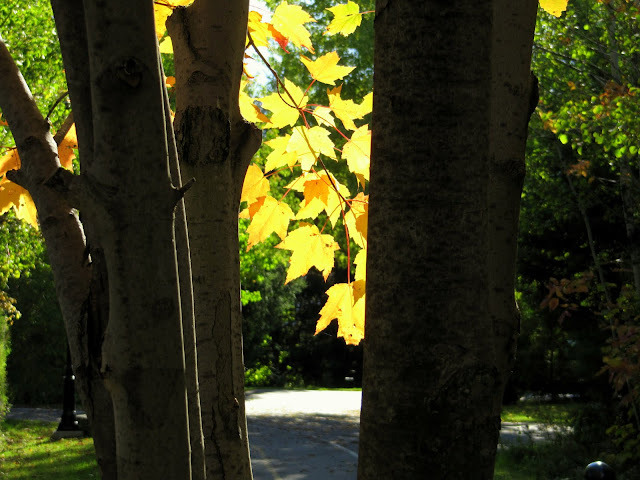 The season of autumn is a season of golden opportunities just as the leaves in your pictures. A season to rejoice in having lived the two prior seasons and now stopping to rest a bit, enjoying life without thinking about all the stresses of youth. It is a wonderful time with so much to feel and to give, n’est-ce pas? The Autumn of life, like the Autumn of the world, can be the most beautiful of seasons. If I think about the past, and my kids growing up I get sad. Yet I don't want to do it over again. If I think about the future and getting old, that makes me sad. So I guess I'm happy where I am right now! I enjoyed both poems, and, of course, the photos are great! I love trees! Bonnie, I found myself reading the second poem with my face and mind averted, just a bit. I'm heading into autumn too, but don't want to think about it too much yet. Maybe just don't want to acknowledge it. But there is a tender and lovely expression of acceptance in this poetry and I'll come back again to read. This is a beautiful poem - I came across your blog via looking for autumn of life poetry search. I will bookmark you and link on my blog for others to see.